Robert Boyle lived a life of contrasts. He was born to one of the richest families on earth, but he chose to live a simple life. 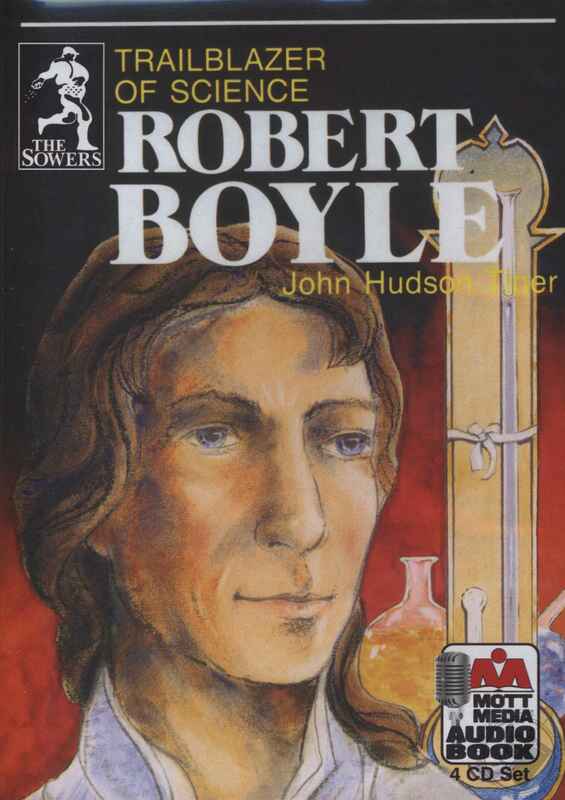 Robert became one of the greatest scientists of all time, but remained a shy, humble person. Despite his quiet nature, he worked forcefully and bravely against persecution and injustice. Robert Boyle's friends were a roll call of the famous: Christopher Wren, Samuel Pepys, John Milton, Isaac Newton and many others. Yet, during his life Robert Boyle towered over all of them. Robert's brothers and sisters all received regal titles such as knight, viscount, earl, lord. However, Robert Boyle refused all titles. He preferred to remain what he was, a Christian gentleman. 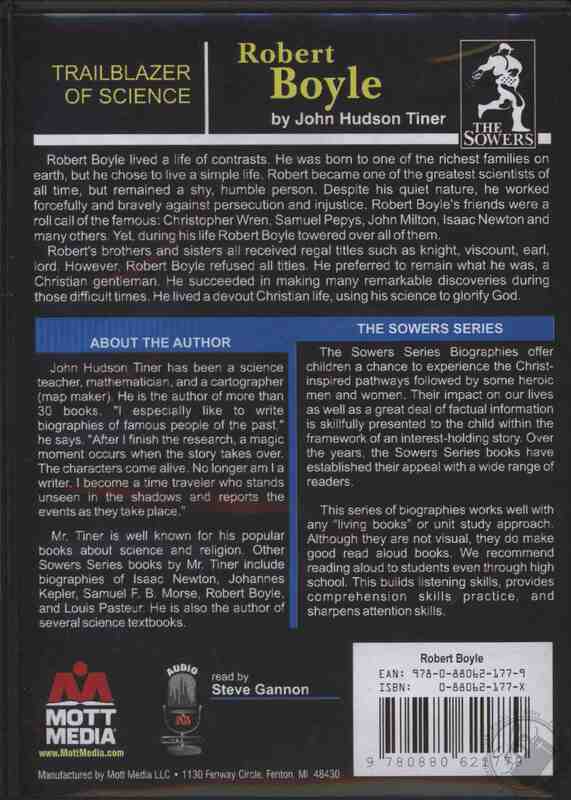 Robert Boyle's father came to Ireland with nothing but a few coins in his pocket and a small trunk of clothes. He became the Great Earl of Cork, a powerful and wealthy Irish landowner. Like his father, Robert Boyle became famous, but in an entirely different way. He became the best known and most respected scientist of his day. Today, after three hundred years, he is still considered one of the top scientist of all time. Robert Boyle survived rebellions in Ireland, the English Civil War, the Black Death, the Great Fire and political unrest. He succeeded in making many remarkable discoveries during those difficult times. He lived a devout Christian life, using his science to glorify God. Read Robert Boyle - Trailblazer of Science to experience these exciting events.